The Bath Charter Township Police Department provides full-time police services to the Bath Community. 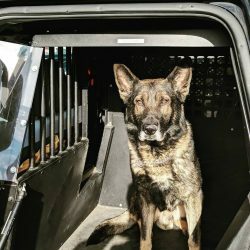 Our Department is comprised of a Chief of Police, a Lieutenant, a Detective, two Sergeants, seven Patrol Officers (including one K-9 team), and three reserve officers. Our administrative employee provides professional office support to all of these sworn personnel. Must be either certified or certifiable as a police officer by M.C.O.L.E.S. Although we are not hiring at this time, interested individuals can complete the following Police Department Job Application and return it to the Department. We will update this and the Employment page when there is an open position. Our Department offers a variety of services to the public. Detailed information on Fingerprinting, Firearms & Ammunition Collection, and Police Report services can be obtained by contacting us. Reports can be purchased from the LexisNexis eCrash System by clicking the image below. Residents having issues purchasing a crash report should contact (866) 215-2771. Effective January 1, 2019, Clinton County is discontinuing CodeRED as the county-wide notification system at the end of the year and will start using RAVE Alert. All handgun permits must be obtained by the PURCHASER. If you are buying your handgun from a Federal Firearms License (FFL) dealer, such as a gun shop or sporting goods store, they HAVE the ability now to do handgun purchase permits on-site. You will just need to bring the police copy within 10 days to a Police Department, Sheriff’s Office, or Michigan State Police (MSP) Post. If you are buying from an individual and DO have a Concealed Pistol License (CPL) bring in the signed pistol sales record (MSP form RI 060) to a Police Department, Sheriff’s Office or MSP Post. This is also required to occur within 10 days. If you are buying from an individual and do NOT have a CPL, you need to go into a Police Department, Sheriff’s Office or MSP Post to obtain the proper permit. You will need to produce a valid driver’s license, or Michigan ID, with the correct address on it. Your criminal record will then be run to make sure you meet the criteria for owning a handgun. In most cases at Bath Township Police Department, the permit should be able to be obtained within 30 minutes. However, if there are issues with the criminal history, we may need additional time to gather information. In rare cases, it may take several days. Permits for purchasing a handgun from an individual must be completed and returned within 30 days. If you moved here from another state, Michigan Law states you must register your handgun in Michigan. This will require the same process as a purchase permit. Michigan Law does NOT require long guns to be registered in our state. The Bath Township Police Department is closed during 11:30 am – 12:30 pm for lunch. Permits are not issued after 4:30 pm. If you have questions, please contact Bath Police at (517) 641-6271. The Bath Township Police Department is now a drop-off location for the Take Back Meds Program. The Program is a joint effort between local pharmacies, law enforcement, as well as government agencies to provide residents with safe, convenient access to proper medicine disposal. Disposing of your medicines at our Police Department will ensure that your medicines will not be stolen from the garbage, will not enter our environment and deters abuse and overdoses at home. Bring medications in their original container. Do not remove the name of the medication. Pharmacy staff must be able to see the medication type so it can be properly sorted. Block out ALL identifying personal information on the prescription label. For more information, please visit www.takebackmeds.org, or contact the Ingham County Health Department, Bureau of Environmental Health at (517) 887-4312. Once a week, the Police Department sends out an electronic Neighborhood Watch Newsletter that includes information on current problems or crime prevention information. The incidents included in our Newsletter are only items the police department feels meet the Neighborhood Watch News criteria. The Newsletter is not an all inclusive list of cases the department has worked on, or dispatched to during the previous week. A Neighborhood Watch is designed to keep people involved in their neighborhoods, thus becoming the “eyes and ears” of the community. The hope is that by being involved and aware of your neighborhood, you will know when something is wrong. Our Department wants to encourage residents to report any suspicious activity in your neighborhood. If there is a suspicious person or vehicle, take note of it and call 911. Be as descriptive as possible without getting yourself in harm’s way. Try to obtain a license plate, vehicle description, a description of the occupants and direction of travel. Also, please remember to lock your vehicles and hide your valuables in your vehicle while out in public or at home. Unlocked vehicles are easy targets for criminals to steal those important items! Going on vacation? Did you know that you can get put on a property check list at the Police Department? Just call and we will take your information and add to our vacation list. Officers will keep special attention periodically on your house while you are away. Let neighbors you trust know when you will be away so they notice strange vehicles in your drive. Keep a radio on to make it sound like someone is home. Have your mail and newspaper held or have someone get them. Don’t let them pile up. If you are gone for an extended time, make arrangements to have your lawn mowed, walk shoveled, and driveway plowed, etc. Of course, double check all doors and windows to make sure they are locked. Put a bar in the track of a slider door. If you normally have a key under a doormat or flower pot, remove it at this time. Leave with a trusted neighbor if you are worried about emergency access. time. Lower the amount of rings to go to the message recorder if you have one. If you ever have questions regarding solicitors and peddlers, or to see if there is a permit on file for someone that comes to your door, please feel free to contact the Bath Township Police Department. Solicitors/peddlers must apply for and receive a permit through the Bath Charter Township Clerk’s office. As a part of that permit process, individuals may be required to submit fingerprints and a criminal background check is conducted. View Bath Charter Township’s Peddlers and Solicitors Ordinance. Peddling, soliciting or vending may take place within the Township only between 9:00am and 8:00 pm. Engaging in business without carrying the license issued. Conducting in business within any Township park or upon any property owned or controlled by the Township without specific approval of the Township Board. Obstructing any street, alley, sidewalk, driveway or other place. Entering the premises of a private residence to solicit or peddle when the occupant has displayed a “no soliciting”, “no peddlers”, “no solicitors”, “no salesperson,” “no trespassing” or similar sign on the premises. For more on Peddlers & Solicitors Permits, please visit the Bath Township Clerk’s page. There is a telephone in the lobby of the Police Department. Pick up the receiver, and push the “Police” button to have an officer sent back to the station by dispatch. 9-1-1 is for Emergencies & Non-Emergencies in Clinton County, and (989) 224-6792 for calls from outside Clinton County.